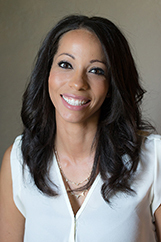 Yeimy Saldana helps her clients solve difficult and complicated problems surrounding the purchase and sale of real estate. Yeimy brings her wide-ranging experience together with her understanding and empathy for her clients to help them navigate the often-confusing process required to purchase or sell a home. Because she also leads the team of professionals at Berkshire Hathaway HomeServices in Richland, she stays current on the latest trends, issues and regulations. This insures the advice and counsel she shares with her clients is accurate and up to date. Yeimy is a full-time and full-service Realtor who personally delivers services directly to her clients, not relying on assistants or third parties who don’t have the expertise or high level of personal commitment she holds herself to. Selling a home can be a daunting task. Yeimy consults with her clients from the initial stages as they prepare, through the marketing, negotiating, and closing of the transaction, all the way through moving and settling into their new home. By answering questions and explaining each step in advance, Yeimy’s clients are empowered and have the confidence to make informed decisions throughout the process.